In my previous post, I wrote about our hike to Zealand hut. The next day, blessed with more perfect weather, we headed for Mount Willard. 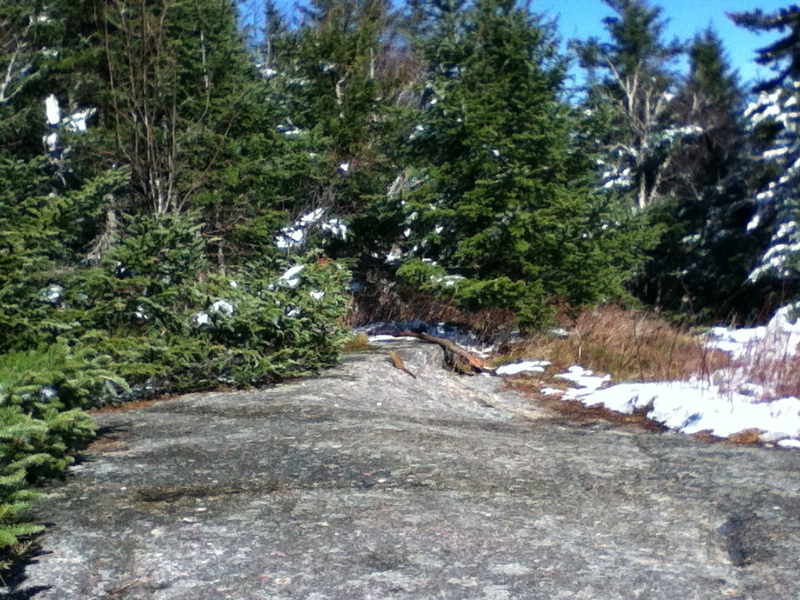 As you can see, there was still plenty of snow on the trail, and once again, crampons were necessary. This is a climb straight up. It takes about an hour and a half if you are pokey like me. 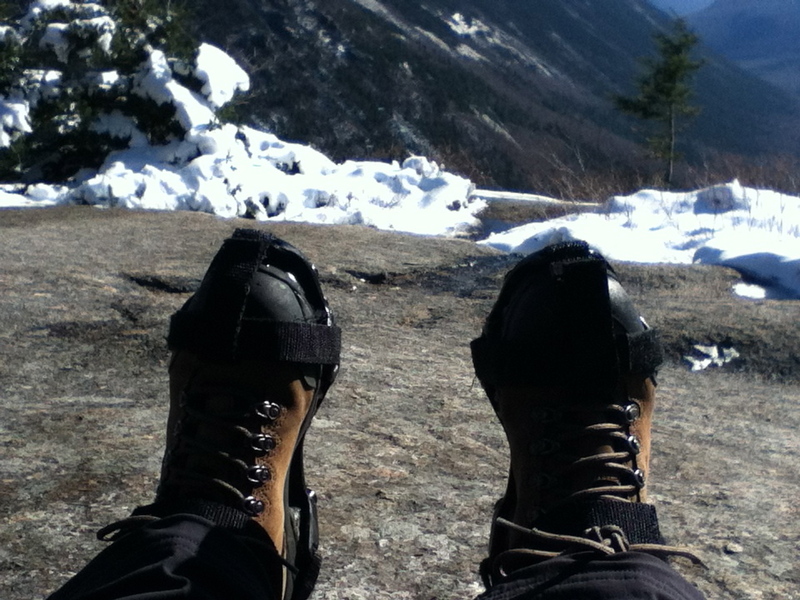 The views are definitely worth the slog, and it was warm enough for us to eat our lunches on the rocks. 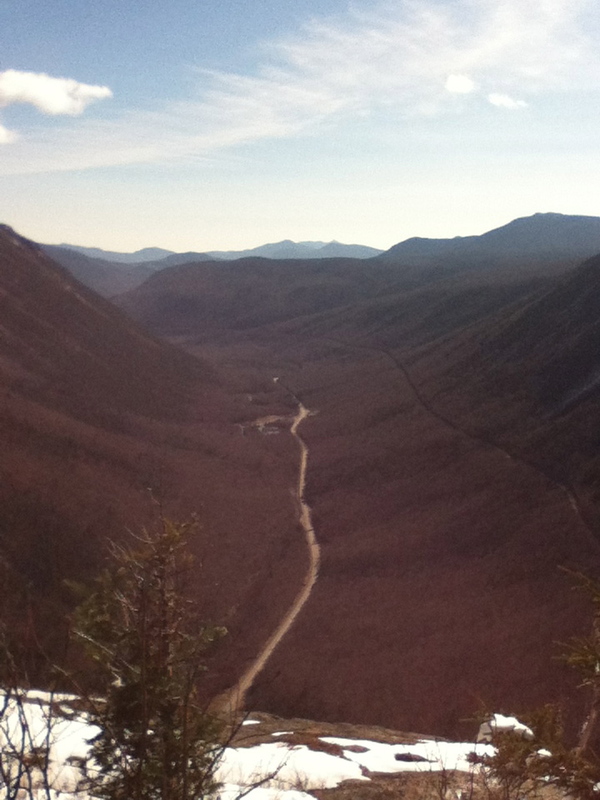 This was our view: Crawford Notch way below us. This red squirrel scurried over almost as soon as we took out our sandwiches. He or she must get a lot of hand-outs. It was a great two days in the mountains. Thanks to my friend and most excellent guide for another amazing time! fabulous – glad you can get away. I miss our days in the Whites, thanks for reminding me of their beauty. Same to you, GP. Yes it felt good to get back into the mountains – and the crisp, wintery air. I am indeed a nordic person. 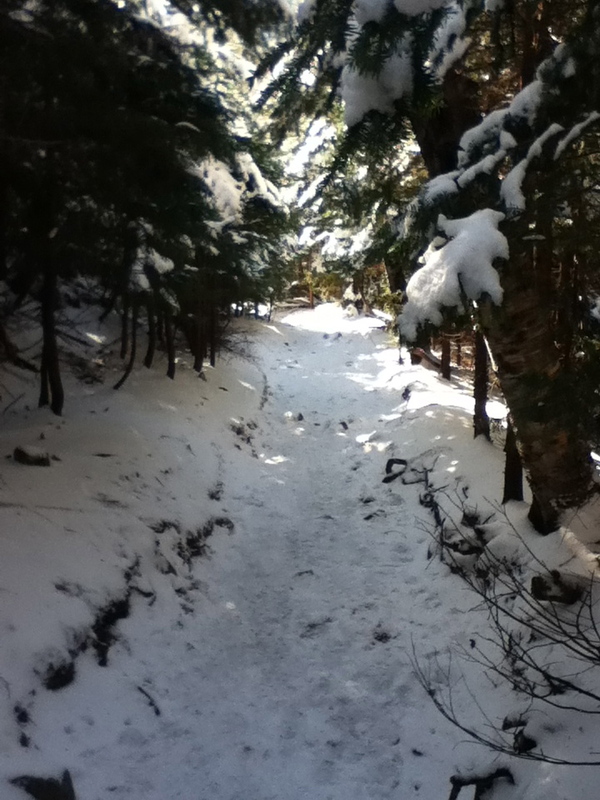 I prefer my hiking on mountains to be below the snow and tree line.